Kevin Harrington - Schwartz and Shapiro LLC. Kevin Harrington joined Schwartz & Shapiro LLP in 2016 as an associate attorney. Kevin is a Certified Specialist in Estate Planning, Trust and Probate Law by the State Bar of California Board of Legal Specialization. Kevin serves as counsel to individuals, families and entities in the areas of estate planning, probate, trust administration, taxation, trusts and estates litigation, guardianships, and conservatorships. Kevin counsels individuals with appropriately planning their estate to meet their individual needs and expectations. Kevin represents numerous individuals with preparing living trusts, disclaimer trusts, irrevocable trusts, special needs trusts, grantor retained annuity trusts, and charitable trusts. Kevin earned his LL.M. in Taxation from the University of San Diego School of Law, which allows him to address complex tax issues and implement advanced estate planning and tax strategies. Kevin also represents multiple individuals with administering trusts and estates during the incapacity and death of a loved one. Kevin has successfully probated estates in probate court throughout Southern California, including Los Angeles County, San Diego County, Orange County, and Riverside County. Kevin routinely represents individuals in litigated estate, trust, and conservatorship proceedings in probate court. Kevin has successfully defended against Will contests, successfully represented clients in contested entitlement proceedings, successfully removed Trustees for breaching their duties, successfully defended against inappropriate conservatorship proceedings, and successfully objected to and defended trust and estate accountings. Kevin represents individuals in initiating and administering Conservatorship and Limited Conservatorship proceedings for incapacitated individuals. Kevin also served as a Court Appointed Attorney in San Diego County, where he represented numerous Conservatees and served as Guardian Ad Litem for incapacitated individuals and minors. 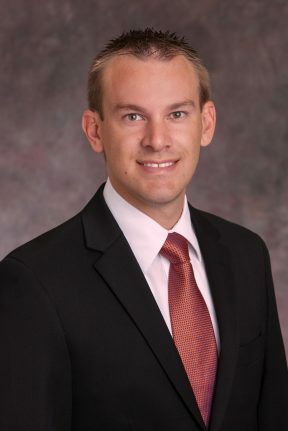 Kevin is active in his community and served on the Executive Committee of the Taxation Section of the San Diego County Bar Association, and Chair of the San Diego Young Tax Lawyers. Kevin also served as a Board Member of the Ocean Beach Town Council. Kevin is a member of the Trusts and Estates Section of the California Bar Association, a member of the Trusts and Estates Section of the Los Angeles County Bar Association, and a member of the Beverly Hills Bar Association.